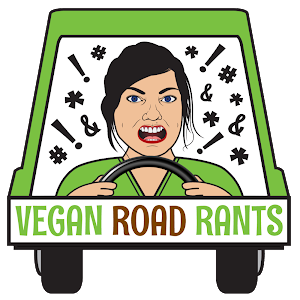 I know, I know, the name of this blog is JUSTTHEFOOD...but I just had to take a break and hook you guys up with a crazy good CD. It was written, produced, performed, and recorded ALL BY ONE CRAZY TALENTED DUDE! 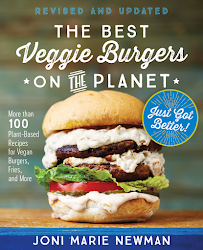 You know how us vegan bloggers have VeganMoFo in October in response to Nanowrimo? Well musicians took up the challenge in February to complete an entire album in 28 days! 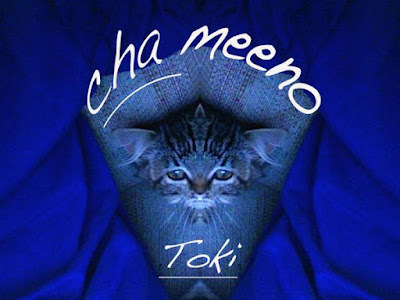 Here is Cha Meeno's completed album, Toki. Named after his ridiculously cute cat, it is filled with amazing music and entertaining "enterlubes". Go check it out...there's lots of free music on his myspace page, or you can download some stuff off of itunes. I admit I have been in a bit of a cooking rut lately. I haven't been motivated. The weather has been wierd, and work stressful. I have recently been a big fan of a bowl of rice or pasta for dinner. I told myself, "SNAP OUT OF IT! 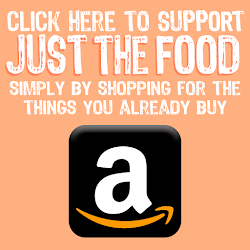 You've got a pantry, freezer and fridge full of ingredients that you need to use before they go bad!" So, was born, the Vegetable Curry Pocket. 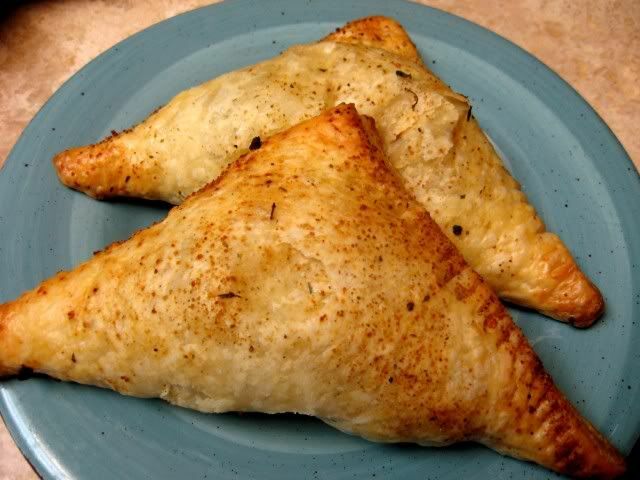 Frozen puff pastry makes these pockets a snap! Fill these yummy pockets with any of your favorite veggies! 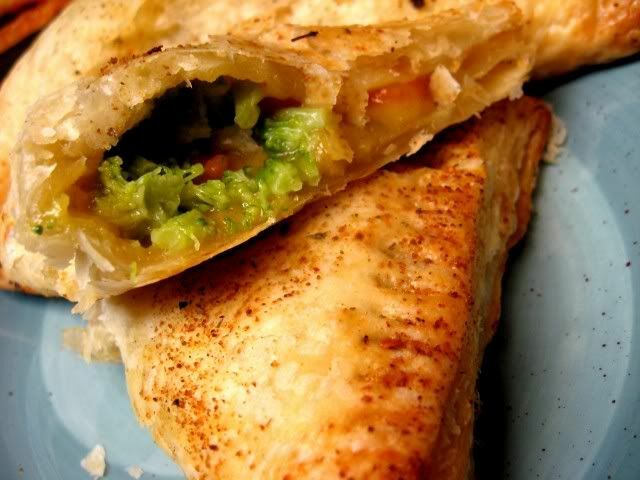 A simple pocket of puff pastry, filled with peas, carrots, broccoli and curry sauce. Simple and delicious. Puff pastry, 10, 6" squares, thawed according to package instructions. You can cut full size sheets into squares, or purchase packages of small sheets which is much easier. 2 baking sheets lined with parchment or a silicone baking mat such as Silpat. A small dish of water handy to dip your fingers in. In a saucepan, melt butter over medium high heat. Once butter is melted, whisk in flour until a thick paste is formed, continue to stir as you pour in the creamer. Continue to cook as the roux will begin to darken quickly. Add in the vegetable broth when the roux is a nice golden yellow. Deglaze, and continue to stir until a nice thick gravy-like sauce is formed. Place one square of puff pastry flat. Add about 1/3 cup (or 1/10 of the entire mixture) of the curry vegetable filling into the center of the square. Dip your finger tips in water, and run them along the edges of the dough. Bring one corner of the dough diagonally across to met the other corner, to form a triangle. Seal the edges by pressing together with the tines of a fork. I like to sprinkle my triangles with a little all purpose seasoning, like Spike, before baking. Bake for 25 to 30 minutes, or until golden brown and puffy. 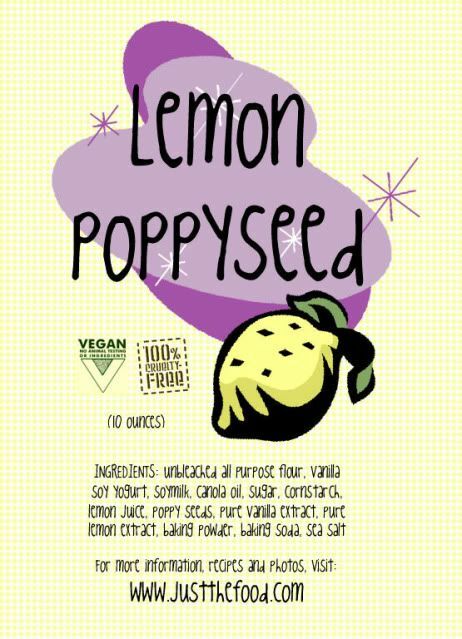 ALL NATURAL DIET SODA! I give to you...Zevia! So far I've tried the Orange and Cola flavors...SO GOOD! 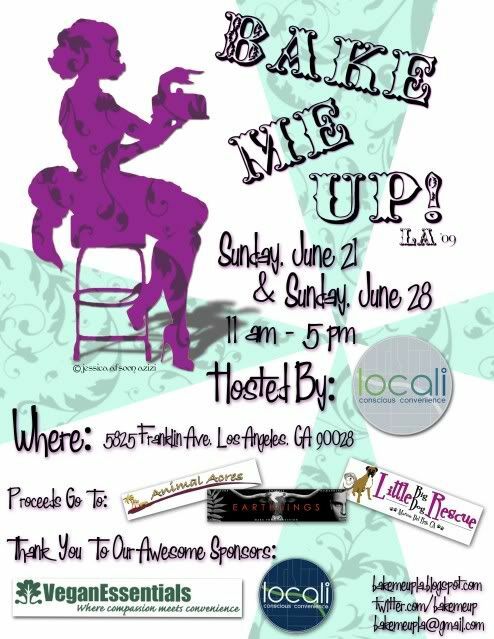 Celine and I will be participating in the Bake Me Up LA vegan bakesale, as part of the Worldwide Vegan Bakesale on June 28th. The wonderful Afsoon not only designed this fantastic poster, but she also organized this entire sale! 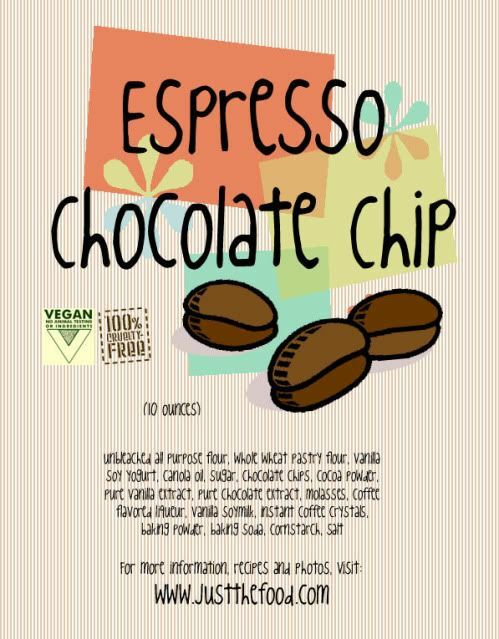 If you are in the LA area, please stop by, get some vegan yumminess, and support Earthlings, Animal Acres, and Little Big Dog in the process! 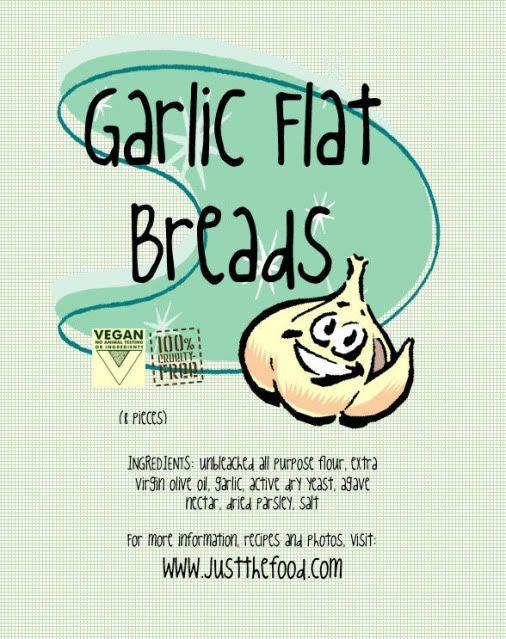 For more info visit: www.Bakemeupla.blogspot.com or www.twitter.com/bakemeup! And the winner is: #10! Krista! Looks like we'll be hitting up the Flavor Spot, for sure! I'll send you an email to get your address so I can send you your trifecta! Thanks for playing everyone, now we have some great ideas for where to stop on our drive north!